Capture a birds-eye view of your business or property, or show your event from above with real-time video downlink. Aerial video can add an interesting perspective to your production. Our aerial video is captured using a radio-controlled quadcopter drone holding a gyro-stabilised 4K camera with real-time video downlink. The 4K camera provides crisp, clear ultra high definition video that rivals even the most professional hollywood setups. 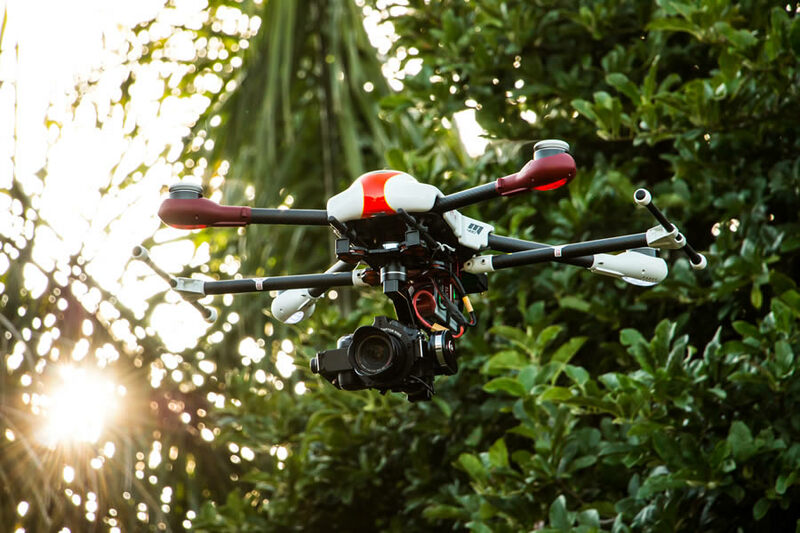 Some companies will charge thousands of dollars per day to capture aerial video. However we believe that it should not be out of reach to those with a smaller budget, so our rates are surprisingly affordable.